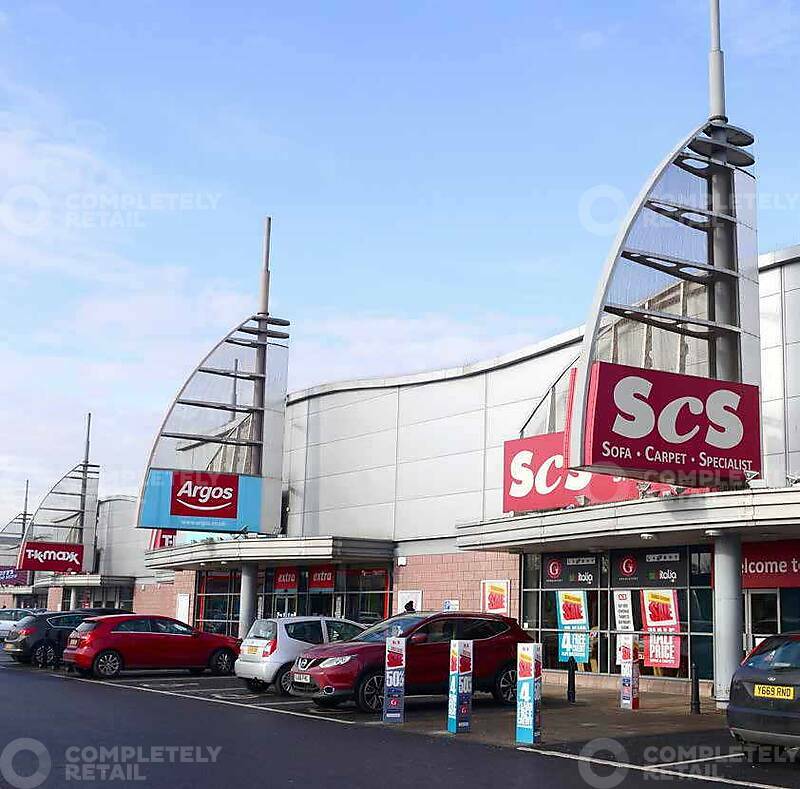 Castle Vale Retail Park is a 181,887 sq ft scheme anchored by a Sainsbury’s supermarket which sits along other fashion & lifestyle brands including TK Maxx, Argos, B&M, Smyths Toys and ScS as well as Lloyds Pharmacy. The retail park boasts 659 car parking spaces. Castle Vale Retail Park is located just a quarter of a mile off Junction 5 of the main routeway into and out of Birmingham – the M6 motorway, sandwiched between the M6 and M6 Toll, and is adjacent to the popular A452 Chester Road and its industrial and retail centres. It is part of the original Castle Vale estate which is home to around 10,000 residents and lies just six miles north east of Birmingham city centre. In addition to the immediate local housing developments and local catchment, including being opposite Jaguar’s Castle Bromwich factory, Castle Vale’s location means it benefits from passing vehicular traffic en route to/from the M6 and the Chester Road. Subsequently, the catchment stretches across the city. Birmingham’s 1m+ population is made up of a slightly higher proportion of females to males, the average age is 35.